1. Tone is the attitude a cartoonist takes towards a subject. Which pair of words best describes the cartoonist’s tone? 2. 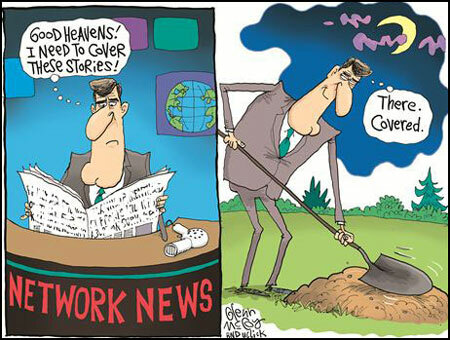 What news stories do you think the cartoonist believes the network news channels are covering up? Explain your answer.